As fruit starts to come into season, it is the perfect time of year to visit local farmers. 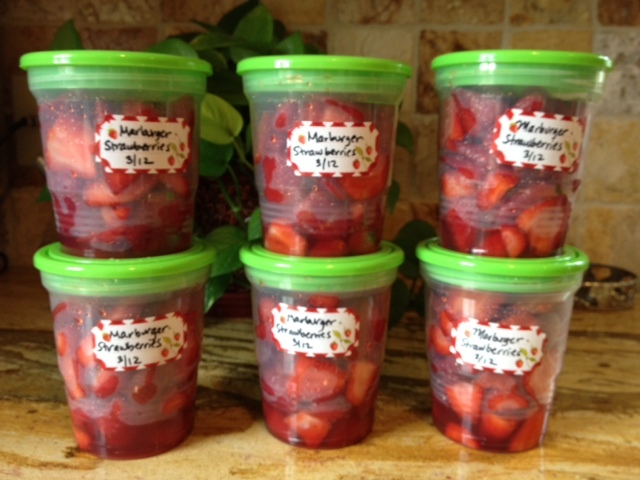 This year, we decided to stock up on strawberries and freeze them, so we can enjoy them throughout the year. 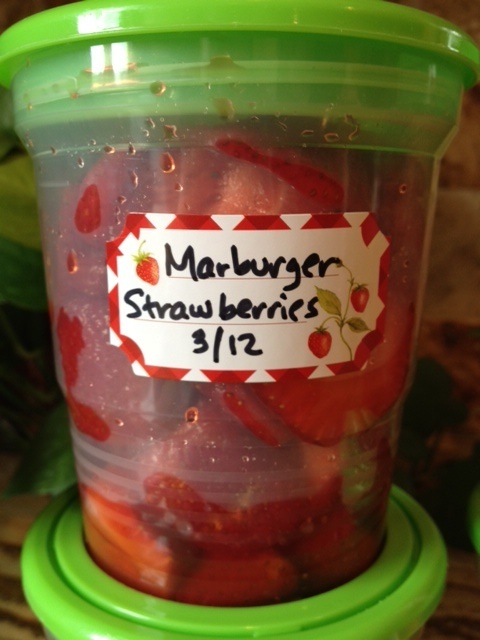 As I mentioned in my blog post yesterday, we visited Marburger Orchard. Since, this type of fruit doesn't last as long as the store bought-I wouldn't go longer than a couple of days to freeze it. First, we picked up supplies at Wal-Mart. 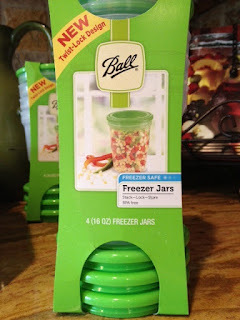 I am sure you can buy these anywhere, but we bought the Ball Canning brand, made specifically to freeze, as well as some sticker labels for the jars. Once you clean the fruit and let most of the water drain (about 10 minutes) cut off the stems and any areas that look too bruised or bad to you. Then either cut the strawberries in half or in quarters. 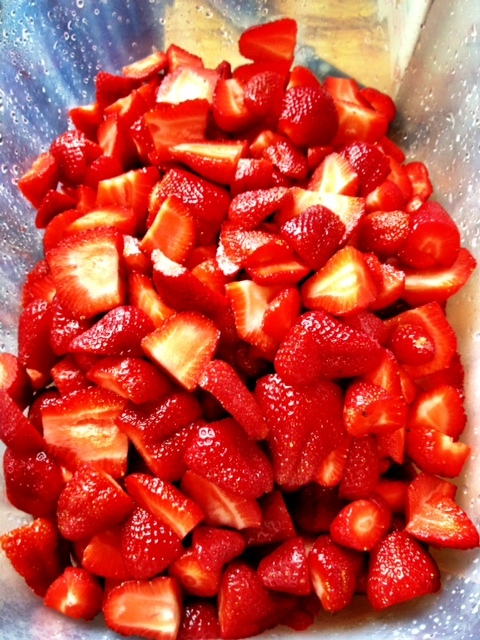 We ended up cutting the medium-sized in half and left the smaller strawberries whole. Next, you need to decide how you want to freeze your fruit. We choose to sugar (or Splenda) freeze this batch for sweeter flavor (this also helps to preserve the fruit), but you can also "dry freeze" your fruit. To sugar freeze, add 1/2 cup of sugar per quart of fruit and mix gently until all the sugar is dissolved and the fruit is coated. It almost seemed to turn a bit syrupy because of the water, which is fine. Then put the strawberries in jars and place in freezer. To dry freeze, place fruit individually on a tray in the freezer until frozen, then remove and quickly put in freezer bags and return them to the freezer. We plan to do this with our blackberries we pick in May. The strawberries will be perfect to use to make strawberry crepes, pie, smoothies and I hear they are great semi-frozen. Make sure to use them within the year!